My journey to India this summer started with a discussion I had with Camillo, my fraternity brother who participated in CASI last year, and Aparna, the CASI director, inside of Perry World House last semester. 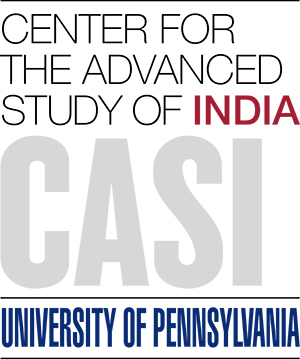 Fast forward to the middle of Spring, my interest to spend the upcoming summer in India at the CASI Program developed into an intricate desire to prosper both personally and professionally at MMTC-PAMP. Meeting with Parth, an intern who worked at MMTC-PAMP last summer, and conducting more extensive research on the company allowed me to recognize that the internship was my first choice of the CASI programs I was applying to. He also mentioned the flexibility of MMTC-PAMP, describing the extensive consideration taken by the managers, regarding the interests and development of their interns. In understanding this, I knew that MMTC-PAMP was the best fit for the growth I desired to experience this upcoming summer. After interviewing with Siddhika, a representative at the firm, and Aparna on Skype, my enthusiasm regarding the possibility of spending the upcoming summer at MMTC-PAMP progressed. I know I will be able to effectively reinforce my Economics coursework in the emerging and liberalizing Indian economy, through a project that both protects and enhances the experience of the consumer in the gold exchange market. A few weeks before I received my acceptance letter, I sat down with Britt, another past intern, at Capo to discuss her experience last summer. In combining her description of a soft skills assessment lead by Siddhika at the start of her summer working there, with flexible characterizations of MMTC-PAMP provided by Parth and Siddhika, I knew that it would transcend as a company that I would be able to exceedingly progress in. When I mentioned to Britt that I would be working on this project, which she identified as GAP (Gold Accumulation Program), she stated that she helped MMTC-PAMP with the initial development of this program but wished she was more involved with its execution. After receiving my acceptance letter, I was excited and a bit nervous for this upcoming summer. I appreciated and enjoyed the CASI pre-internship events to help us get prepared for our summer abroad. I packed a few essentials according the Survival Guide but didn’t have room for much as I wanted to bring a lot of my clothes. May 18th approached quickly and before I knew it I was boarding my plane at JFK, I felt relaxed boarding the flight, as I wanted to begin my journey with an open mind. Arriving in Delhi has been interesting, exciting, and shocking. The other CASI interns and I went on a few adventures during our stay at the IHC to Humayun’s Tomb and the Old Delhi Market at Red Fort. The sights were beautiful and the air was quite hot. I am excited to see what the rest of summer has in store! Penn 2019. Economics. Hispanic Studies. Delhi Summer 2017.